If you have always dreamed of seeing ancient wonders like Machu Picchu, then Cuzco would make an ideal travel destination for you. Located in the mountains of Peru, this historic city presents an excellent base to explore ancient ruins and experience traditional Peruvian culture. Convenient to a number of nearby hotel choices, the Plaza de Armas is a great place to begin exploring Cuzco and its outlying attractions. This historic square is easily walkable and features many beautiful Spanish colonial buildings as well as markets, shops, cafes and restaurants. Don’t miss the impressive 16th century cathedral here that houses 400 exquisite paintings. 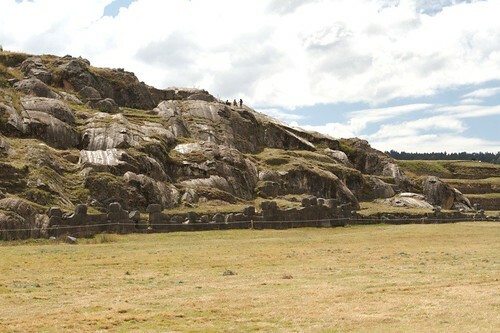 Just outside Cuzco’s city limits is Sacsayhuaman, the ruins of a former military fortress. Large enough to hold thousands of people, this walled complex is constructed of massive limestone boulders that were cut and fit together perfectly without the use of mortar. You can walk around and marvel at how superbly the ancient Incas engineered the structure so that it could withstand earthquakes and line up with the annual solstices. Many tourists enjoy visiting the various markets in and around Cuzco to hunt for a bargain on souvenir goods like Quechua handicrafts, textiles, art works, ceramics and jewelry. Some of the more popular markets include the San Pedro Mercado Central. Located near the Plaza de Armas, this lively market is where you can buy a variety of handicrafts and fresh produce as well as snacks and drinks to sustain you on your day trips and adventures. Just outside of Cuzco, the village of Pisco hosts a popular Sunday market where you can browse many different stalls selling the likes of painted pottery, Peruvian dolls, ceramics, silver jewelry and items made from alpaca wool such as throws, ponchos, scarves, hats and more. Cuzco offers a plethora of art galleries and museums where you can experience the history and culture of the area through art works, crafts and artifacts. A few of the most visited venues include the Museo de Arte Popular, the Museo Municipal Regional and the Museo del Sitio del Qoricancha, which displays three Inca mummies and skulls. Another excellent place to see local arts and crafts first hand is in the workshops and museum of the Center for Traditional Textiles. Here, you can learn the historic significance of the traditional Andean and Quechua textiles while also observing how they are made by local women. Because of Cuzco’s central location, many tourists like to use the city as a base while exploring some of the marvelous nearby attractions that include the famous Machu Picchu, an ancient architectural wonder that sits more than 7,000 feet high up in the mountains. Another popular day trip is the Sacred Valley of the Incas, which contains numerous Inca ruins and villages where you can still view ancient agricultural terraces. Visitors can also find hotel accommodation and dining establishments throughout this area. The Cochahuasi Animal Sanctuary is must-see if you are an animal lover. This shelter provides rehabilitation to animals that have been injured or orphaned. You can see native wildlife species here like alpacas, llamas, pumas, macaws and condors. Cuzco experiences a warm, dry season from April to October and a wet season from November to March. Because the city’s location is at a high altitude, visitors should take caution to prevent altitude sickness. Excited to visit Cuzco? There are fantastic deals online now just a click away.